The whole of my love for Low has long been greater than the sum of its parts. I love the band and always will, but I haven’t loved a Low album in 10 years. Not since 2001’s Things We Lost in the Fire has Low put out a record that even solidified, much less added to, my engagement with the band and their work. Their albums since then — Trust, The Great Destroyer, and Drums and Guns — are fine in their own way, and each does indicate that the band has continued to strive for evolution and growth. Witness the unprecedented prominence of loud, distorted guitars on The Great Destroyer and a similarly new emphasis on synthetic elements on Drums and Guns. I appreciate that restless exploration. But, for me at least, the band’s remarkable, unique approach to songcraft took a backseat to experimentation with form and texture over the last 10 years (with a few wonderful exceptions, such as the stunning “Last Snowstorm of the Year” on Trust and “Breaker” on Drums and Guns). I reconnected with my great affection for the work of Low and its core husband-and-wife duo, Alan Sparhawk and Mimi Parker, with the 2010 release of the second album from one of Sparhawk’s other bands, the Retribution Gospel Choir. One of my favorite records of the year, 2 boasts at least half a dozen songs that are already classics in a parallel universe. Soaring, catchy, intense, and instantly memorable, the songs on RGC’s 2 showed me that Sparhawk still had a few more melodic gems left in his songwriting pen. Though RGC operates in more rock-centric space than Low, I was hoping that the next Low album would benefit from Sparhawk’s return to a melody-first emphasis. I’m glad to say, then, that C’mon, released this week on Sub Pop, is a hell of an album. It’s easily Low’s best in a decade and a damn sight better than I ever would have predicted, even with relatively high hopes. One of the album’s strongest suits is economy. An even 10 tracks clock in at about 45 minutes, and only one track exceeds 5 ½ minutes, thereby minimizing the band’s prior tendency to stretch out a simple, skeletal song 2-3 minutes beyond a reasonable stopping point. But importantly, Low’s mastery of the “slow build” is not entirely lost, even in the context of relatively brief tracks. “Majesty/Magic” is a jaw-dropping example of the band’s still-overwhelming prowess with gradually rising dynamics, building from a hush to a beautiful roar in Low’s darn-near inimitable way that still brings tears to my eyes, more than 15 years after I first heard them do it. The singing is another great leap forward on C’mon. I first noticed that both Parker and Sparhawk had grown into quite good singers (beyond just the ability to hold and sustain a single note for 10-15 seconds, which they’ve always had) on Things We Lost in the Fire. But God, both are great on the new album. There’s no better word than “soulful” to describe Mimi’s vocals on “Especially Me,” and Sparhawk conveys a new level of character and humor (aided by the odd, funny lyrics) in “Witches.” The duo have always wowed with their otherworldly harmonies and singing in unison, but “Nightingale” just might be a new level of perfection in their harmonic communication. It sounds like love. Another thing that feels new and adds great strength to C’mon is the variety of the instrumentation. I love the banjo in “Witches,” the delicate keys and xylophone at the end of “Nightingale,” and the emphasis, but not overemphasis, on electric guitars throughout the album. 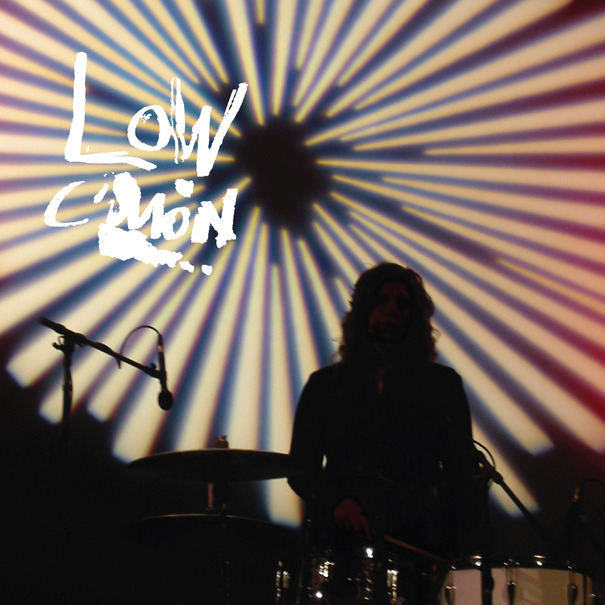 As longtime fans know, Low once peddled a stark minimalism and achieved wonderful things within those self-chosen confines, but they’ve been gradually expanding their range from Secret Name onward. That progression from denial to embrace of a multi-layered sound seems to have reached full fruition on C’mon, with the band retaining full fidelity to its core identity while adding one wholly rewarding embellishment after another in every song. I’ll conclude by presenting “Nothing but Heart,” probably my favorite song of 2011 thus far, as the epitome of every strength I’ve identified in the preceding paragraphs (except “economy,” given that it’s the one C’mon track that stretches to the 8-minute mark). The “slow build” and the hair-raising dynamics? God, yes—it’s the most exultant thing I’ve heard in quite some time. The singing? Yep, when Mimi swoops in during the song’s final three minutes with new lyrics and a new melody, and you can tell that she’s absolutely belting them out even though they’re still “background” vocals, she sounds like an angel and it’s absolutely devastating. Instrumental variety? Weeping, dripping steel guitar licks from Wilco’s Nels Cline and Sparhawk’s rich, emotive, almost playful guitar histrionics are scattered throughout all eight minutes. The instrumentation is a master class on achieving the John Coltrane “cry” in the rock context, giving voice to spiritual truths that could never be expressed through language. And yet, it never sounds like anything but pure Low. Final verdict—this album makes me feel unmitigated joy. A band I’ve loved for nearly half my life has once again claimed a central place in my heart by making an album that adds several thick layers to my appreciation of them. That makes for a fine day indeed. It’s only fitting that you would review their new album on a day where a Low show concludes my evening (apparently the performance was filmed for a PBS special, a la Elvis in 1968), since you were the one that introduced me to their Glaciercore style about 16 years ago. Even in 2011, Low has the gift to subliminally command a thousand or so people to eschew telephony and inane commentary, and just listen. Even the mobile servers waited until the final note of “You See Everything” to finish resonating to ask if I needed a beer. You would’ve loved it.